What we energize, we magnetize. That is what Doctor of Divinity and thought leader Dr. Erin Fall Haskell always tell people during her speaking engagements and when she’s broadcasting her podcast, Good Morning Lala Land. Erin is a self-made millionaire and an active philanthropist. Growing up, she always believed that finding the right relationship, getting the right job, and marrying the right person would make her whole life work out. A personal tragedy sent her on what’s been now a 24-year track of seeking her own healing and self-discovery. Her book, Awakening: A 30-Day Guide to Unleashing Your Inner Guru, is a collection of fun stories that takes you through your health, your wealth, and your creative expression and bring it to life to not only know the truth but live the truth as well. Erin shares her journey of becoming a self-made millionaire by the time she was 30. 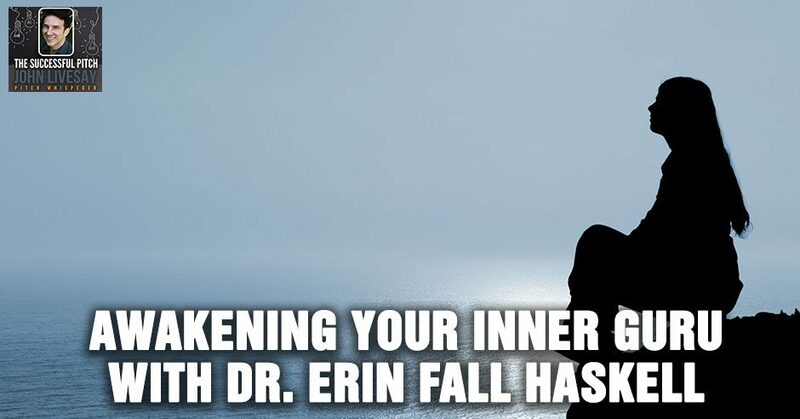 My guest is Dr. Erin Fall Haskell. She said, “Complaining is praying for crap.” She said, “What we energize, we magnetize.” She tells this amazing story becoming a self-made millionaire by the time she was 30 and how she likes to invest in green tech and real estate. She is the CEO and co-host of a live streaming show called Good Morning Lala Land and the author of a book Awakening: A 40-Day Guide to Unleashing Your Spiritual Powers, Life’s Purpose and Manifesting Your Dreams where you unleash your inner guru. She said, “Success doesn’t taste good unless you have the barriers to overcome to get there.” She describes what it takes to be a good guest on her show or any show. I think you’ll enjoy this episode on entrepreneurial mindset. I’m honored to have my dear friend of many years, Dr. Erin Fall Haskell, who’s a Doctor of Divinity, a new thought leader, a transformational author and speaker. She’s a global peace leader, award winner, a mother lover of life. She is the CEO and co-host of a wonderful show called Good Morning Lala Land. Erin has quite a journey that she’s going to share with us of becoming a self-made millionaire by the time she was 30 in real estate. She invests in green tech and real estate while she’s writing this book called Awakening: A 40-Day Guide to Unleashing Your Spiritual Powers, Life’s Purpose and Manifesting Your Dreams. Erin, welcome to the show. Thank you so much, John. I just adore you and I’m so honored because I love your podcast. What a brilliant idea to bring storytelling and the heart to the finances that we all must claim is our birthright. 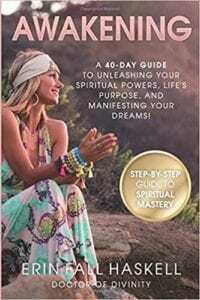 Awakening: A 40-Day Guide to Unleashing Your Spiritual Powers, Life’s Purpose and Manifesting Your Dreams! I always ask my guests to tell their own story of origin and you can decide how far back you want to take us. You can take us back to your childhood. You can take us back to when you made the decision that you were not going to work for someone else and become an entrepreneur wherever you want to start. All day long, I listen to other people’s stories these days, so it’s always fun when we get to get back into our remembrance of the whole thing for us. I grew up in a hippie commune, basically on the hilltop of Santa Barbara. It’s like the residual leftover of the ’60s when it was super cool and quite dysfunctional at the same time. My parents got divorced when I was two years old. My dad went and had another family and I was confused and sad and all the above thinking that families had to be a particular way when the reality is that they are all unique and expressions. Anyways, I grew up in the mountains of Santa Barbara and I basically didn’t have any rules or regulation, no religion. In fact, my mom was anti all that. I came to high school and everyone started trying some drugs and alcohol and all that kind of stuff. I didn’t know what I was going to do. I thought, “If I just found the right relationship, got the right job and marry the right person, my whole life would work out.” Lo and behold, I got married for all the wrong reasons, basically just because it was a thing to do. I found myself pregnant at the age of 21 and I had a stillborn son at the age of 22. I was nine months pregnant and I was in nursing school and I realized that my baby had stopped moving inside of me. I went down to the doctor right about 5:00 PM and the doctor was gone. A nurse lubed up my belly. We took a look and saw there was no heartbeat. We rushed over to the hospital and realized that my baby had died inside of me and I had to give birth to my baby, which was a bizarre twist at that point in my life. It got me down. I just had one of those moments. It was a moment with God and my higher-self saying, “How could you be so cruel?” It was one of those moments just looking down at my baby’s body, realizing he was gone but he was here. I realized he’s not his body and I’m not this body and what the hell are we doing here? It sent me on what’s been now 24-year track of seeking my own healing, seeking my own discovery. I had bulimia when I was in high school. I had been date-raped in high school. I got divorced and all that typical human beingness. I finally have arrived at an amazing, extraordinary life beyond my wildest dreams. Just to give a little bit of coda to the story. You do have a very healthy son now. Thank you for saying that because I always forget to say that and some people are like, “It’s so sad.” I got pregnant a month after my stillborn. He’s watched me bloom going through my own healing and consciousness and becoming an author and practitioner and doctor and all those things and watching the show bloom. It’s super cool for any of those parents out there who are young parents, it’s cool to have your children witness you grow up. You can see the woman that I am now, that I always want to be, which is super cool. Your Inner Guru: The cool thing about entrepreneurship is the more you work, the more you have residual income, the more your workload goes down and you have more freedom. You’ve painted a picture, you’re a single mom in your early twenties and that’s usually very difficult to figure out a way to pay the bills, let alone become a self-made millionaire. How did you go from those circumstances to saying, “I’m not going to go back to nursing school, I’m going to dabble in real estate or become an expert in real estate?” Was it commercial? Is it residential? How did that happen? I actually dropped out of nursing school when I had my son because I left him one day at the nanny would have been caught and it just broke my heart. I couldn’t do it. I just thought I have to figure out something as a mom to make money and be able to do both. 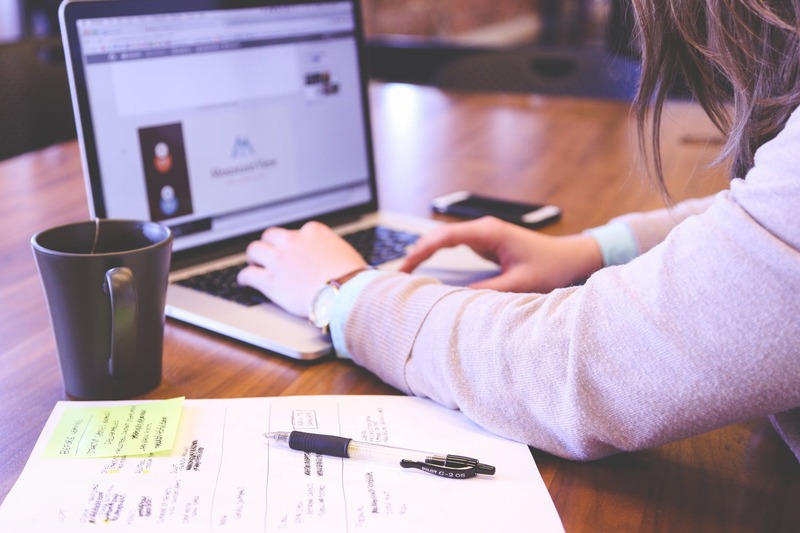 I immediately went into real estate school and which was for any people out there want to get into real estate, one of the hardest industries to do traditional real estate. I found a way of buying and fixing up homes and that was a modality for me. I was doing my spiritual work, part of the day and then I do my real estate. It was literally reading the book Rich Dad, Poor Dad and things like that. Realizing how to build assets and how to leverage and all those basic 101 things that everybody needs to know. I should become financially literate. I highly recommend Rich Dad, Poor Dad. The book I highly recommend some of the basic books that are just simple distinctions that make you realize when you’re buying a liability, when you’re buying an asset, how to leverage things like that. I started buying and fixing up homes. I was so broke on literally I could not. I can barely put much more than pasta on the table. It was not a fun track. I saved every penny I could ever make. I never touched a principal. One of the secrets to growing wealth in my opinion is to never touch a principal. Have income come in but don’t touch your principal. If you have an asset like a home or business, let that business grow and don’t touch into tapping all your money there. Then what happened is I began to have more residual income from real estate, I was able to have more time, not only to spend time with my son, but also to develop my spiritual work. Because I’ve been doing it and doing all my healing work, it became my obsession. I became so involved and just obsessed with the work. I loved it so much and I became so fulfilled. That’s a cool thing about entrepreneurship is the more you work, the more you have residual income, the more your workload goes down and you have more freedom, more passive income or things like that. What I did in real estate was I bought and fix up homes and I had rentals so I wasn’t doing traditional agency work. Let’s go to the birth of your book, Awakening: A 40-Day Guide to Unleashing Your Spiritual Powers, Life’s Purpose and Manifesting Your Dreams. This is the part I love, unleashing your inner guru. A lot of people think, “I’ve got to find a guru and follow their steps to success.” You’ve flipped that on its head, which is about, “No, wake up and find your inner guru.” Can you share something with us about how you came up with that concept? It was a disaster, quite frankly. I rearranged the book five times. I had to get two different editors. It not easy. What happened was as I was getting my doctorate also all the wisdom, all the truth, I thought, “How do I organize this into a book where I’ve taken the epiphanies that I’ve had and the distinctions from the great minds like Emerson, Troward, Louise Hay, Ernest Holmes. All these people that have come and taught us such great wisdom. How do I put it into what I would say is that into a book that it has fun stories that also takes you through your health, your wealth, your creative expression, relationships, all of the above into those four legs of life?” I just basically put it into a 42-guide because I like little chunks. I don’t think we learn in huge chunks. I want to take a book and break it down into 40 days so people could take little chunks, bring it into the life and actually not know the truth but live the truth. How great not just knowing it but live it. One of the things you talk about the book is complaining. What are your insights on complaining? I think the complaining is pretty much like praying for crap because we know how the universal law works. That’s pretty much what it is. I’m spiritual, I’m not religious I like to say I think that there’s great of truth and all of the great teachings. “Fear thy Lord.” is what it says and what the Lord refers to the law of the universe, the universal law of cause and effect. What that means is we should be afraid because every word we speak, every thought we think, every action we take is heard in profound ways for the universe and reflects back to us in ways that we could never even imagine. If we complain, literally think about what you’re doing. If I complain I am speaking all negative things into my mind, into my subconscious, into the world, and what we energize magnifies. If I complain, I’m literally saying to the universe, please give me more of what I don’t want. Those are two great tweets right there. Complaining is praying for crap and what we energize, we magnetize because I talk about the power of a good story, become magnetic and pull people in. Let’s double click on another focus that you have on one of these 40 things, which is the scarcity mentality. So many entrepreneurs think there’s never enough time, there’s never enough funding, there’s never enough clients, there’s never enough of team to do everything enough hours in the day. I hear a lot of scarcity mentality and mindset of a lot of entrepreneurs, even at advanced stages. You think it’s just that initial bootstrapping startup where there’s scarcity. If you have that at the beginning, you’re going to continue to have it, even if you become a hugely successful company. What are your insights and thoughts on that? I still struggle with this myself. I’m not going to lie. I think it’s between allowing managers flow and building because we’re caught up in building wealth and building assets. It’s a really fine dance in my opinion. One of the things I’ve noticed for people that are truly expressed because I think when we shift our mind think our business is not about growing, like collecting things. It’s about developing ourselves. That’s the whole point in why we do our business is to have a full life with people we love and develop ourselves, our consciousness, our spiritual selves. When I think about that, when I think about people that I admire, there was a common denominator and it is people spend money to make money. If you witness people who are successful, they generally spend a lot of money to make money. Oftentimes people who are very wealthy are very miserable, it’s not always the case, but I would say there are definitely some huge leaders in the world that have abundance of money that are very fulfilled. If you look at the stats, there are more people that are not, that are not that happy. They have a lot of wealth in their assets, a lot of money in the bank, a lot of investments. They can’t figure out why they’re still not fulfilled. I think it’s a real fine dance to have a flow. I think that abundance mentality comes down to one thing and it is a flow knowing that what we put out has to come back, abundantly and multiplied as we know. I love that concept of a lot of people I know who have substantial amount of money that may or may not be happy at certain points. The part of what I’m seeing and hearing from them was they had the illusion that as soon as I have this much money in the bank, as soon as I have these many homes, as soon as I have this many private jets or whatever it is, I’ll be happy. Then when you get those things and you’re still not happy, that’s even more depressing than not having them. Because on the goal to achieving them, you have some hope that you’re going to be happy at XYZ achievement, and then you read the illusion completely burst when you realize it wasn’t. Don’t get me wrong, I like money, I like abundance. Somewhere I think it’s around $250,000 beyond that, your lifestyle doesn’t change that much. Then you’re just stacking money, like let’s just get into flow abundant. I think there’s a way of doing both for sure. Your Inner Guru: We do our business to have a full life with people we love and develop ourselves, our consciousness, our spiritual selves. The other thing you talk about is this concept of perfectionism and I’m always fascinated by that. It’s one of my challenges is to let go of having everything to be perfect. Especially in the startup world, it’s sometimes challenging for founders to let go of trying to control every little thing a. Obviously if you’re going to be pitching and having slides and your website and your branding, all that needs to be as perfect and have as many people check it as possible. The concept of perfectionism that I want to ask you about is I see sometimes people hitting these milestones that are quite significant and not even taking a minute to celebrate them. They’re onto the next thing because there are ten other things that still needed to be done and are perfect. Do you see that? Do you have any thoughts on that? I’m still guilty of that. I had an eating disorder when I was seventeen to twenty. I was a total perfectionist. In this world with the filters, we see highly; highly produced things, whether it be an online or in the movies or in magazine. We see such highly produced things that it’s hard to not compare ourselves. The reality is this is that the perfection, a good example is doing lives online. I remember doing live streams and when I first started was it was like a joke. I was a disaster, not going to lie and I’d have people come in and they put comments and I get all sidetrack. I couldn’t remember what I was talking about. The only way that I broke through is to just keep doing it. It’s not like you’re not going to come online in your business or in your product or in no matter if you’re an author or a writer or you’re starting to pod cast or whatever. There’s no way you can be the top of the top. You didn’t know it started at the top there. You have to be somewhere and I think that the mistake is not just doing it. In this world, we live in the most abundant. Going back to money, I just want to stay because I never was able to say this. Scarcity mentality versus abundant mentality comes down to one thing. You’re either giving yourself to life or you’re taking from life. The extent to which we assign money more powerful than ourselves is the extent to which we will feel dis-empowered when it comes to money. Having a scarcity mentality is you’re, again, you are informing law and informing life that you are their scarcity, there’s not abundance and you literally are that powerful and the moment you even consider yourself to not have all abundance, you literally informed instantaneously the universe to deliver and so it is. What I hear is you’re saying it’s a self-fulfilling prophecy one way or the other. 100% you can use it either way. Works the same regardless of what directions of perfection. It’s like you’ve got to love yourself or someone else to love you. It’s the same thing. Got to love yourself. Let’s talk about how you went from doing live feeds from your home to being on a live network streaming five days a week called Good Morning Lala Land. How did that come about? It’s so funny how the universe delivers stuff to us. You can never plan it out and then we know this that we can’t outline. We call it outlining when you try and figure out and plan out exactly how something’s going to manifest. It happened with a complete twist. What happened was I was doing lives and I was committed to delivering truth. I didn’t know where, when, how, I just thought I’m just going to do it. Whether it be live streams on Facebook, Periscope, wherever I’m going to be with clients. I’m going to do one on ones. Whatever is I’m going to give, give, give, and I’m going to develop myself because that’s what we know. This work is not about what comes of it, it’s who we become out of it. I just kept doing it. Lo and behold, you put yourself out there, you develop yourself and you embody the wisdom human body being the expert in whatever your field is, it doesn’t matter what your field is. Soon enough as they say, you can’t get lucky unless you’re in the game. I actually had a girlfriend asked me, she wanted to interview me on her show. I went into the studio and we did an interview and at the end I said, “Spirit just keeps saying that I need to have a show. There’s something that bringing this consciousness. Mainstreaming is what feels like my calling.” She said, “We’ll talk to the producer.” Sure enough, right after the show, I gathered the producer for a while and he’s like, “Just come on and start shooting your show.” I went in, I started shooting some one on one interviews and I just thought, what’s being inspired is a morning show. I felt this for a long time. I felt there should be multiple hosts. I feel like this is something that is all about good news, positivity and inspiration. Within a month time we found two other hosts and I had no idea how it was going to go. I just structured it, I thought of the name, I thought of the different segments. Lo and behold, we now have like two to five guests a day. We’ve had almost 250 guests. We are being looked at by so many huge producers and we’ve got a few studios that are looking to take us on. Also, if we want to move up in our production and we’ve got a whole platform. Rob Mack, I’d known him for twelve years. It goes to show you that the relationships that you have in your life, how we treat people every day, how we show up every day. You have no idea, you may already have the person that’s going to fund your project in your life. In fact, you most likely do. When I have a new project coming up, for instance, I’m having a multiple women events for entrepreneur, empowering that bringing spirituality, who do you call, who do you look to? The people that you already know. The people that you’ve already been watching doing their show online or they already have books already have up because you’ve been watching them. 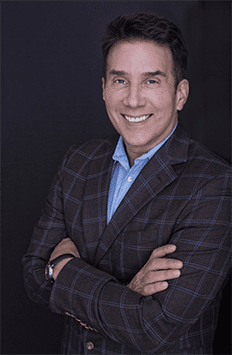 The same person that when you do real estate, all of a sudden, you’ve known somebody, you’ve witnessed them doing real estate for years because they’re showing consistent marketing; who they are. When you happen to go, “It’s time to move, honey. Let’s sell this house and buy another one.” You just call them up. It’s not like you go searching out there. You already know somebody. When you go to angel funding or you go to any of the startups, they want you to actually have raised some capital from your friends and family because they know. If your friends and family have not been watching you and they don’t believe in you, then the likelihood is that you need an expert or somebody to step into that field. You’ve had so many guests who typically have three guests per show per day, five days a week. What is it that makes a good guest? Because the guest coming on, whether it’s a podcast or a television show or anything to give good content versus somebody trying to get people to buy their book or buy their program or whatever it might be. It’s all about the story. I think it’s like a good movie. or whatever you want either. The ideal thing is to have somebody that has a story that people cry, laugh or inspire all the above. We want to touch on people’s emotions. I think that’s the point of it is that we are human beings. We’re spiritual beings having a human experience. We’re here because we want to experience the happiness, the sadness, the joy, the hardship. Success doesn’t taste good unless you’ve experienced barriers and blocks. That’s life. The best guest is somebody that just become so vulnerable tells their deepest, darkest trials and tribulations and has an inspiration outcome. Your Inner Guru: Success doesn’t taste good unless you’ve experienced barriers and blocks. The concept of a good story is that it does take us on emotions like a good movie does or a good book. I think that’s what people forget when they’re co-telling their story, whether it’s about themselves or about what their product does or how it’s inspiring people to, to make a difference. I think that all comes down to telling people something that’s unexpected. For example, you had Rob Kessler and his wife, Linda, on your show and they happen to have a product called Million Dollar Collar. On the surface you might think, “Is that a TV segment? What is that? How is that interesting to the viewers?” Yet through the lens of this company, this is a love story. You take people on the picture of the wedding, pictures of the beach that didn’t come up because the collar was sloppy. That gave him the idea to create a way to make the collars constantly look sharp and how they’ve to risk their whole future and quit their safe jobs to move to LA to live their vision and their dream and all the obstacles they’ve had to overcome and. Suddenly, it’s a couple whose love for each other and trust and belief in each other and the outcome is just this company’s product. That’s not the story on the show. The story is this love story. I think giving people a specific example on this episode of what makes a good guest and so if you ever want to get publicity for your startup or your company or yourself as a brand, keeping those elements of good story in mind. Even if you have what it might be perceived as the most mundane product in the world. Not what the Million Dollar Collar is but no matter what it is, a good story can make almost anything compelling. On the show, we had these three gentlemen that came on and it was about a clothing line. I thought, “We just make the best. That’s my commitment every day. No matter what we’re going to find a story out of it.” After the interview with these three gentlemen, they talked about their struggles, they talked about their friendship and how having a business together has made them commit to communication, how to commit to finding their own strengths and weaknesses and all that kind of stuff. They talked about how they ride motorcycles together and how this is a bonding thing and how the clothing line was a part of them having their own expression and how they didn’t want to buy things from China anymore. How they wanted to support the people in the community. Authenticity, you’re so authentic. Your story is authentic, your show’s authentic. Everything you touch and do is authentic and you just described a company of two guys that are literally on the road riding motorcycles and out of that a fashion brand evolves because it’s authentic and people can feel it and see it and hear it. 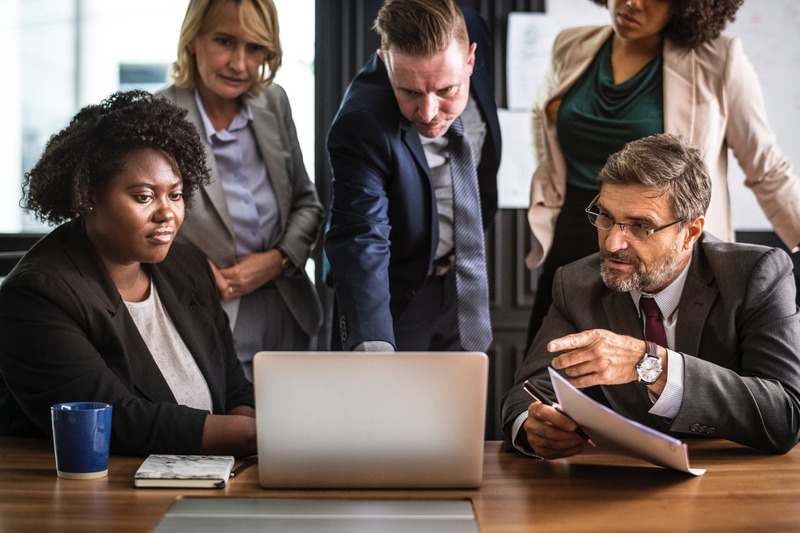 You’ve had to launch your own brand and not only as an expert one-on-one, a person who works with people’s subconscious, but you’re also running a mastermind where people, you help people build a brand. Tell us your thoughts on the importance of authenticity and how to get it. It’s easy to go, “Just be authentic or just be yourself or whatever.” Most people don’t even know who they are. That’s the reality that I think this is my authentic self. They don’t even know what their authentic self is like. That’s cool. It’s like a hip thing to say right now, but I don’t think most people even have gotten in touch with their authentic self. I’m a true believer, I help people want working with finding their purpose and calling which authentically is finding their authentic self. Their authentic and their unique swing in life. It always comes down to say in formula every time. Maybe someone has a different formula. I’m more open to it, but finding someone’s trials and tribulations, what they had to have triumph over their passions and their skills equals their purpose and calling. I truly think that being authentic is a great concept. It’s almost like the human factor, until you’ve gone through some hard stuff, you may not even know what is authentic for yourself. That’s the beauty of it. Let’s just recap what you just said so that everybody can digest it. Write it down, look at it. When you get in touch with your authentic self, you’re taking down the mask, the veil, you’re expressing your own vulnerabilities, have some challenge you had to overcome that was difficult. You add that to your passion and skills, voila you’ve now got your purpose. I so relate to this because as I was working on my TEDx Talk, that was exactly the formula that I needed to use in order to even get a yes to get on that stage. For me it was overcoming being laid off after fifteen years of working and feeling like I’d lost my identity because I had somehow allowed it to get so connected to where I was working and what was my identity. I felt scared and sad and nervous about the future and remembering that losing my job doesn’t mean I’m losing my identity. When I realized that my passion is about helping as many people on the planet as possible become storytellers so that that will then allow me to live my purpose, which is to help as many people as possible. Get off the self-esteem rollercoaster of only feeling good when things are going well in bad, when they’re not, or however many views or clicks or whatever your measurement is. That once you get off of that self-esteem roller coaster, you’re truly free to be the best version of yourself. I think hearing that formula and then giving the listeners the example of how I follow that formula to get my TEDx Talk should inspire everyone to want to track you down to hire you for one on one or the book or be part of your mastermind. I just want to say that what you’re doing is so important because helping people find an entrepreneurial movement like a lot of the world is moving towards entrepreneurship. You’re helping people find their story because I’m telling you, people out there, you’ve got whatever your product is, it’s never going to sell, you’re never going to raise money if you don’t get your story together because people don’t care. They don’t care about the product. Do you know any people I see they’re bringing that are creating the next facial products like come on? What is important is the story behind it. Of course, the product has to be excellent because we’ve got so much competition in today’s marketplace. Beyond it being a good product, it’s going to sell as the story. People want to invest in personalities. People will watch shows, but if there’s not a person that they connect with and that presented, they will not. They won’t do it. I work with people. I love to do subconscious work with people. It’s one of the most rewarding. It’s not easy to do one on ones anymore because I’m very busy, but it’s so rewarding to watch people when their chains of their past and their limiting beliefs come. They get out of their own shackles and there’s nothing more rewarding than that. 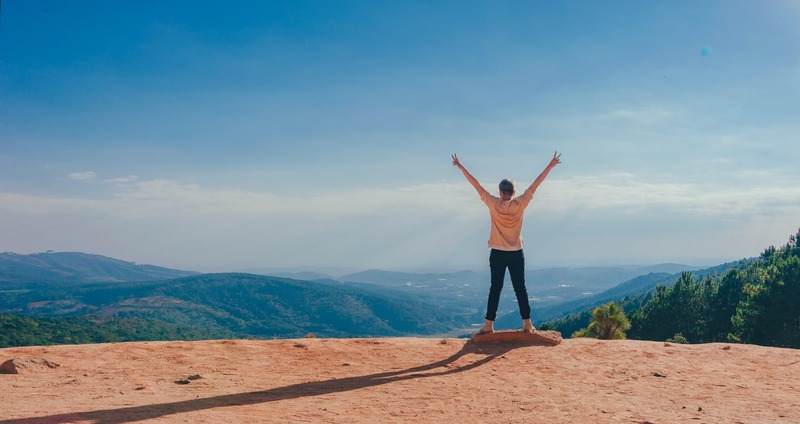 Masterminds are so rewarding as you are doing a twelve-week mastermind with people and watching their lives transform in all areas is so incredibly rewarding. The thing I want to leave people with is how people can find you. If people want to join your mastermind, where can people find Good Morning Lala Land? Good Morning Lala Land is GoodMorningLalaLand.com. They can find us on Instagram, Facebook, YouTube, all under Good Morning Lala Land. Good Morning Lala Land, John, was helping us work on our branding. It’s a state of mind. It’s a world movement around people doing good, about dreamers and people up to incredible things in. You can find me at DrErin.tv. On there you can download my free app. You can get my podcast that actually has a show on my app also, which is all free, 30 guided meditations all on there for you. I have a mastermind. I have a 30-day prosperity course and I do one-on-one, so all the above. You can just reach out and email me and I’ll talk to anybody anytime. We’re so gracious of you. I can’t thank you enough for sharing your wisdom, your passion and your purpose. Inspiring us to live our purpose. I just want to say thank you. Anyone out there, please share this podcast. I do believe in raising capital and getting people interested, whether it be they’re being your partner, whether they are one of voluntary. You’d be surprised when you just ask for advice about your pitch, I think it’s the best advice ever. Go to them just asking for their advice. Everybody wants to give advice and when you do that people want to get involved. Whether it is that they just want to watch you succeed, they want to volunteer, they want to give you money, whatever that is. You want to just have a community and the communities and most important thing. Thanks so much, John. I love you so much.